I was asked by a couple that were to be married, (Steve and Pam Nunez) if I could come up with a signature cocktail for their wedding on Saturday September 26, 2015 in honor of this new venture they were starting. One request, was it had to contain Canton liqueur because it is Pam’s favorite mixer. 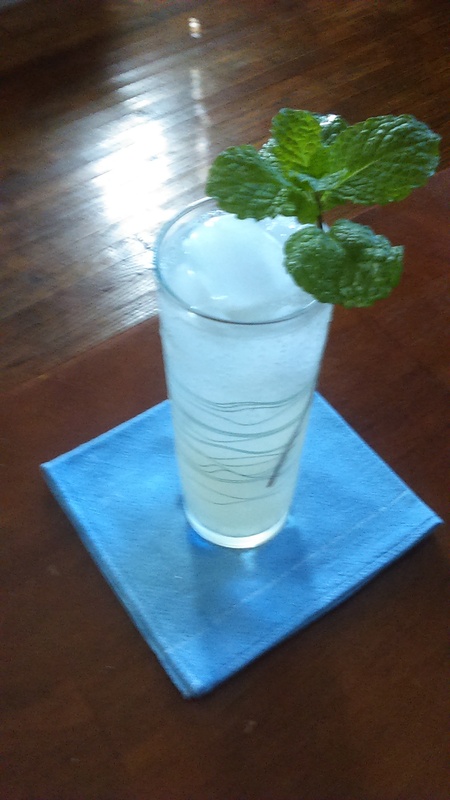 After a few trial and errors, I came with a refreshing drink with only a few ingredients and it was an absolute sensation at the wedding reception. If you have not tasted Canton liqueur, it’s ginger flavored that mixes well with any spirit, give it a try, you won’t be disappointed! Place ingredients in a cocktail shaker with ice, except the club soda. Shake vigorously, strain into a Collins glass with ice and top off with club soda. Posted in Recipes, VodkaTagged canton, canton liqueur, cocktail, cocktail recipe, daddy-o's martinis, daddyosmartinis, drink, john apodaca, nueva ventura cooler, recipe, vodkaBookmark the permalink. Really refreshing on a hot day! It was FANTASTIC, John!! Thank you so much for being our bartender. We can’t wait to hang out with you again.